There’s been a lot happening at Google these days that might impact your search standing. The company has released not one but two Panda updates, and it’s unveiled a whole new algorithm dubbed Penguin. And these are just the major search updates. It also announced more than 50 search quality adjustments. A leading way for websites to cater to users is through relevant and quality content that makes a site a resource in an industry. But even as Google is making changes that reward marketers for focusing on the user, it’s easy to get caught up in the Google bubble. If you need to break out of that bubble, a little clarity around Google Penguin and Google Panda updates might help. We’ll start by taking a look at what the Penguin update is, then go back for a quick crash course on Panda (and how it’s related but different). Finally, we’ll go over some pointers on creating content that is zoo-proof, with an example of content helping a site do better than just “survive” in the post-Panda and Penguin search world. Penguin is Google’s latest algorithm targeting webspam, launched on April 24, 2012. What, you ask, is webspam? 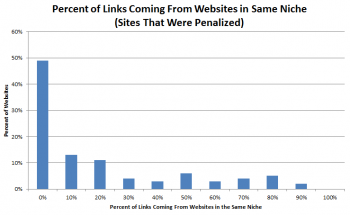 Two examples of webspam practices Google offered in its Penguin announcement are keyword stuffing and link schemes. Webspam also involves cloaking, hidden text, sneaky site redirects and more, as outlined in Google’s Webmaster Guidelines. Of course, some forms of webspam that are more intuitive than others. Irrelevant keywords on a page are easy to spot, but Google says, “Sites affected by this change might not be easily recognizable as spamming without deep analysis or expertise.” You can read more in Google’s announcement: Another step to reward high-quality sites. For Penguin, “great content” presumably doesn’t sacrifice quality for hitting exact keywords in every article, nor is it likely to have a lot of paid links pointing at it. Is your keyword use natural and transparent? Are you adding exact-match internal links on every mention of a keyword? Are you buying links from low-quality sites with anchor text that matches your head terms? Are you buying links (in general)? Do the sites that commonly link to you seem to be clustered into the niche you serve? 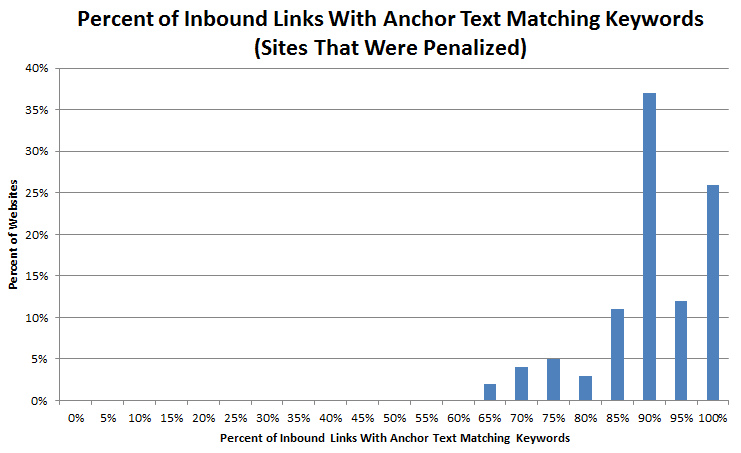 MicrositeMasters.com did a great analysis of sites that were hit by Penguin according to what share of inbound links had anchor text for the same “money keywords,” and how many had higher shares of links that came from irrelevant sites versus sites within their niche. The correlation of Penguin losses and frequency of keyword-specific inbound links from random sites is clear based on its findings. Penguin is going after websites with too many keywords and suspect links, which signals that the content is less quality or less relevant. Been hit as of the 24th? (Note that some slips – or gains – in your site could be related to Panda updates if the 24th isn’t the magic day for changes in your analytics.) You can jump ahead to the part of this blog where we look at overcoming search updates. Otherwise, let’s take a quick look at how Penguin is different (but similar) to Panda. How is Penguin different from Panda? Ultimately, both Panda and Penguin assess site content using different avenues. Penguin targets webspam (link schemes, cloaking, keyword stuffing), honing in on tactics that suggest site content can’t stand alone, and Panda targets shallow content and boosts quality content using signals that indicate a web page has information that is fresh, relevant to the overall site and well written. Before, we looked at some possible red flags for Penguin, and there are a number of separate red flags for Panda. Duplicate content is a major Panda target. Brafton has also reported that site interaction metrics may be connected to the way Panda perceives the value of the content offered on a site (users don’t bounce away from good content). Additionally, Google’s Webmaster Central blog offers marketers questions they should ask themselves about their content’s Panda-friendliness. Whether you saw a drop, a lift or held steady in search from Panda and/or Penguin, focusing on your ideal users is the new SEO. Let’s take a closer look at how. Good content marketing can beat the Google zoo. Have a site that was hit? Now that we’ve looked at what Panda and Penguin target, if you really don’t know why your site has been impacted by a Google update, you can send a reconsideration request. But whether you’ve been hit or want to avoid getting hit by one of Google’s animal algorithms, investing in good content and organic social link building. Based on this information, the company has been regularly publishing industry news articles about its sector for well over a year. It uses website content to support its social marketing and email outreach, sharing headlines across its social pages and in email newsletters. For the Penguin fearful, we’ll emphasize that it has a keyword strategy, and it occasionally uses internal links to direct users to related conversion pages (though it doesn’t always use the same anchor text). It doesn’t (to my knowledge) buy any paid links. The site’s organic traffic levels held steady throughout Panda 3.5, Penguin and Panda 3.6. In fact, we see a little uptick in the organic traffic after Penguin. 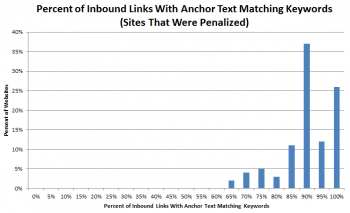 Inbound links listed in Webmaster tools have remained consistent (with very minor gains). Overall, the content investment this site makes has helped it retain search visibility and inbound links in the face of the Google zoo. Here’s something else to consider: This B2B site generally receives somewhere from one-sixth to one-quarter of its visits from various social sites. While its content campaign is helping it stay Google-friendly, shared content (including links to the full articles) also keeps it from being overly Google dependent. This is a good reminder to break out of the Google bubble! Focus on creating great content for your users, and then think about ways to get this in front of the audiences you care about beyond search. If you can connect with relevant audiences on social networks, you can win more (and more relevant) traffic – and, incidentally, content shared by people who care about your niche will help build the content interactions Panda cares about and provide the links Penguin loves.